The Washington Redskins, and primarily the team's owner Dan Snyder, have come under fire this past year for the team's name. Native American groups allege that the name is offensive, and there is a growing call from media outlets and the general public to change the team's name. Snyder so far has been adamant in his desire to keep the name (he's not exactly an easy-going man of the people), but the defenses he's used (tradition, heritage, the name not really being offensive, etc.) hide the true nature of his reluctance: money. Namely, it costs a lot of money to rename a team. And even though Washington is the richest team in professional football, Dan Snyder doesn't like to spend money. When the NBA's Charlotte Bobcats chose to rename itself to the Charlotte Hornets for the 2014 season, team owner Michael Jordan estimated the cost to be between $3 million and $10 million. The Charlotte Observer pegged it at the low end, others peg it at the high end. For renaming a pro football team, the costs are higher. Patrick Hruby, at SportsOnEarth.com, cites sources close to the NFL estimating the cost of renaming the Redskins at as much as $20 million. So what's in that $20 million. Hruby lists the big money going to naming consultants to help select the new name and the legal fees to secure it, the rest is towards the physical rebranding. Everything from the official signage in neon lights, to the vinyl wraps on the hot dog carts, to the letterhead, to the websites. All of it will have to be remade in the likeness of the new brand. Luckily, these are all things that can easily be benchmarked, sourced, and negotiated for significant savings. Print services, especially those done in bulk, have been ripe sources for savings opportunities in the past few years in a wide range of industries, from healthcare to manufacturing. From the office letterhead to the wraps around the stadium itself, there are significant cost savings available that could soften the blow. Even the large expenses, the creative agencies, can be negotiated with. Benchmarking, and the multitudes of market intelligence required to do it accurately and well, can work wonders with agencies -- validating the rate cards, the task assignments, and the statements of work to eliminate wastage. Additionally, negotiating master rate cards with parent agencies that will then apply to its subsidiaries. 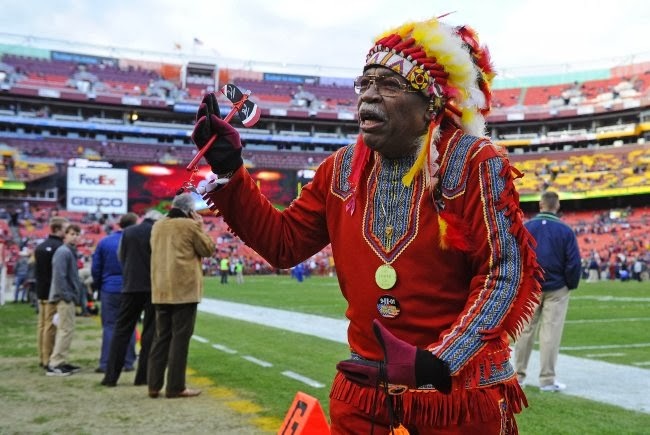 Regardless of the reasons, should Dan Snyder decide to change the name of the Washington Redskins to something more culturally responsible, it's very possible to save money while doing it. Our phone lines are open, Mr. Snyder!